ANNAPOLIS, Md. 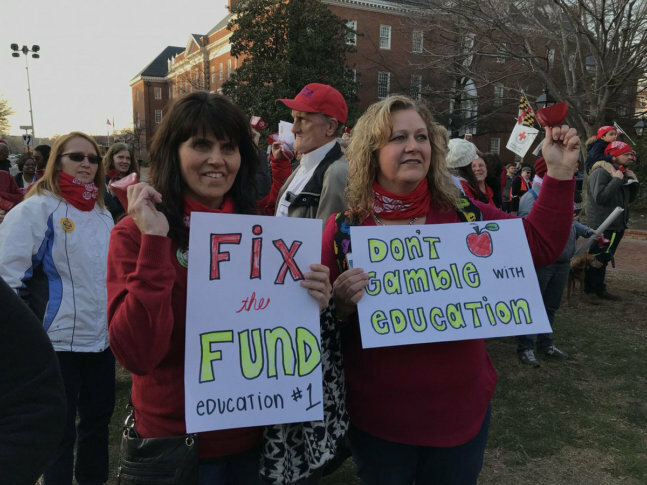 — Hundreds of teachers, parents, staff and students rallied in front of the Maryland State House to demand casino revenue is used to increase funding for schools. The protesters did come a step closer to getting their demands met. The state Senate approved the “Fix The Fund Act” on Monday night. The act calls for a constitutional amendment to be placed on the November ballot.